Let’s talk about Web 2.0 in detail. What is Web 2.0 Submission? What Will Web 2.0 Sites provide you after Submission? Web 2.0 is an Off-Page SEO technique widely used for link building perspective. Web 2.0 Submission sites or Blog Submission sites are Websites, which gives you the flexibility to create and post a unique blog post. If you want to go long always keep “unique” keyword in mind. I just hate those bloggers who use scrapers and spinners to create unique content. They are just making the internet a dustbin. Contents which have no relevance. Most of the Web 2.0 Submission site provides us a feature to create a microniche website on their platform for free. As you can see in the case of WordPress.com and blogger.com. In WordPress.com you can start your own blog with a unique domain name let it be okeyravi.wordpress.com. Similarly, in Blogger, it is like okeyravi.blogspot.com. Protip: Most of the Web 2.0 Submission Sites have High DA (Domain Authority) and PA (Page Authority). So, Having a backlink on these sites will Increase you DA and PA also. 1. DoFollow links – You can Easily get DoFollow Backlinks from these sites. 2. Authority Sites – All these websites have high domain authority that helps your domain and boost the rankings in search engines. 3. Traffic improvement – As we know web traffic is very important for us. So, these websites also help to generate traffic from the organic resource. because when Our backlinks will increase then it also lifts our Website and Web post ranking in Search Engines. 1. Create a Blog/Micro niche Website on any of the Web 2.0 Submission sites given below in the list. 2. Write a proper post with diagrams and videos, As you generally do for your website posts. Keep the Blog post length to 400-500 word minimum. 3. Try to inculcate those keywords which you want to rank in the post. 4. Select those keywords and add your web post links to them. Keep those links DoFollow not NoFollow. 5. Once all set publishes the post. and Submit your link to google. Note: You can add your two links in One Blog Post. The same Strategy You have to follow for all Web 2.0 Sites. WordPress is an authentic Web 2.0 Submission website with a high domain authority of 100 and page authority of 97. It is a top blogging website where you can submit your blogs in order to generate traffic to your website and increase domain authority. WordPress is also a CMS (Content Management System). My Website is also made in WordPress. Blogger is also a very popular and trusted Web 2.0 Submission Website with Domain Authority of 97 and Page Authority of 97. Likewise WordPress, Tumblr also has 100 domain authority and 97-page authority, again which is good for those who want to drive a good traffic to their website. So, Post blogs on Tumblr and increase your Web traffic as well as Site DA and PA.
Weebly is getting famous day by day. You must have seen Weebly ads while watching YouTube Videos. Likewise WordPress, it is also a CMS. You can also post your contents on Weebly to generate links. Weebly has a domain authority of 94 and page authority is 95. It is also a good Web 2.0 Site to generate backlinks. Publish your blog on Wikidot to build a backlink. With a domain authority of 84 and page authority 85, It is number five on the list of top web 2.0 sites list. Wrapping Up – I hope topic Web 2.0 Submission is clear to you now. yet if you have any query then you can comment below. Watch Our YouTube Video to Understand the Whole Process of Web 2.0 Submission. Hey, Nice post. Thanks for sharing this awesome list!!.. The information you give will prove to be of great. Value to me , I hope that. Thank you for your effort. Best Regard..
Nice Article. 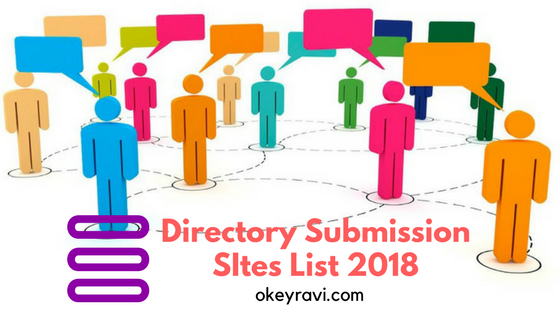 Thanks for Providing the Web 2.0 Submission Sites List 2018 For High Quality Backlinks. I would also suggest you add Reddit.com also as it DA PA is good.. I just want to thanks for sharing these wonderful sites. Really appreciate you for sharing this blog post. Really thank you! Keep writing. Thanks for the Web 2.0 website lists. Nice article Ravi Sir. Every Web 2.0 link is wonderful. Ya, thanks Sujay. You should follow these Web 2.0 Sites for backlinks. Very nice article about Web 2.0 submission. Digging into it to get high-quality backlinks. 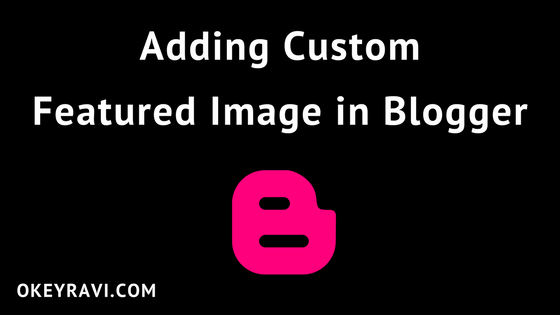 Nice article but just need to know if we have to create many different posts (article) for different blog sites. I have also prepared the list. I am sure this will help all. Just have a look once. I’ve never heard of WikiDot so thank you for that. Very handy list and I will definitely put it to use. Yes, Wikidot is also a Web 2.0 Submission Site. Thanks for your appreciation. Really amazing tips for new blogger . Thanks for sharing this helpful particle. Yes these Web 2.0 sites are awesome. You can check. can we share the same post for more than one web 2.0 blog? Thank you so much, Keep appreciating me and my work. Follow these Web 2.0 Submission Site. Keep loving. Hi Ravi, This is such a valuable information that you shared with us… Thank you so much. I have saved these web 2.0 websites for my future use. Thnx once again. Ravi sir thank for your support your high quality list help me lots thank for share sir.. This was article was really helpful and was really simple yet comprehensive. I think your video was the first one I chose to watch to understand web 2.0 submission and am glad it went great!Thus,one of your links u left there redirected me here;I really like your posts and videos they are simple and comprehensive. I look forward to follow you on a regular basis.Thank you so much!!!!!! Thanks for sharing the wonderful article and viedo about the web2.0 Submission Explanation. web 2.0 these days becoming more important off page submission because off page activities are getting less these days. Yap you are right. Web 2.0 Submission is worth doing. I am a Developer and I am trying to do seo in my own website so i am keep learning. Nice article about web 2.o submissions. Thanks for your efforts! Thank for sharing .It is very helpful for me. website(Top 50 Forum Posting Sites List For Increase Backlinks). Can i use more than 2 post in one single web 2.0 page? Not recommended, Be Smart, It will come under negative backlinking If you do more. But If Your Web 2.0 post is about 2000-3000 words then sometimes you can add up to 10 links if they are relevant to the post.